Home / News / A $1.2 million NSF grant will help Illinois researchers implement, study a 3-pillar STEM program for state middle and high school students. A $1.2 million NSF grant will help Illinois researchers implement, study a 3-pillar STEM program for state middle and high school students. 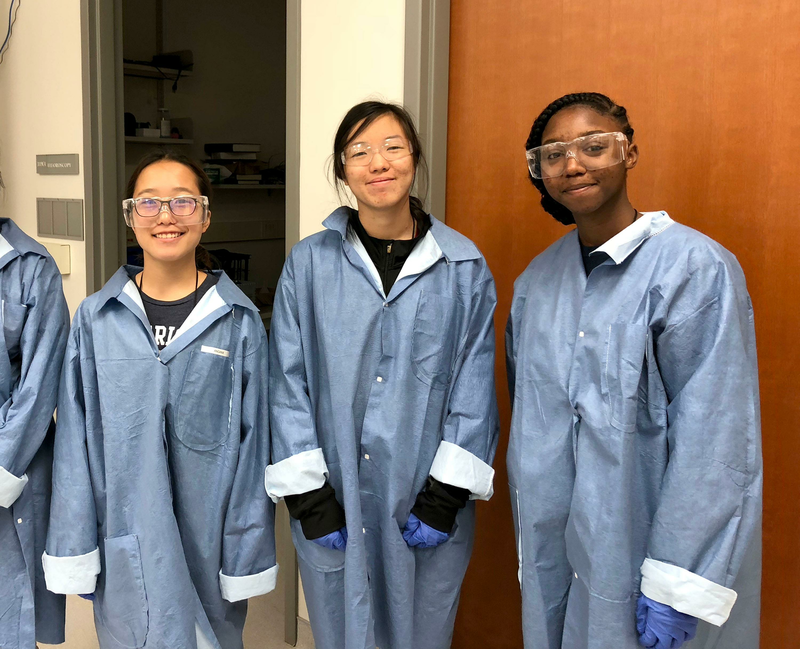 Participants in the 2018 Girls Learning Electrical Engineering (GLEE) camp don their lab coats and googles. As part of this study, underrepresented students will receive scholarships to these University Illinois summer camps. As schools explore ways to encourage more underrepresented students to consider science, technology, engineering, and mathematics (STEM) majors and careers, a team led by researchers at the University of Illinois believes that school counselors and year-round innovative technology experiences are two key factors. The team will use a 3-year, $1.2 million National Science Foundation (NSF) grant to implement a program in partnership with middle schools and high schools across the state of Illinois and study its effectiveness on the development of technical skills and self-efficacy in students and on the practices of counselors. The project, entitled Catalyzing Inclusive STEM Experience All Year Round (CISTEME365), is a collaboration between researchers at the U of I, the National Alliance for Partnerships in Equity (NAPE), Iowa State University, and the University of North Carolina Greensboro, together with schools and districts, industry, and career and technical education centers across the state. The initiative includes three interrelated pillars focused on access to formal and informal STEM learning. Inclusion, diversity, equity, and access (IDEA) teams, which bring school counselors together with teachers, administrators, and out-of-school activity coordinators, form the first pillar. The IDEA teams will receive professional development and learn technical content through a 10-day summer institute at the U of I and participate in a year-round networked improvement community to share best practices and more effectively provide high quality STEM opportunities for their students. The IDEA teams will launch STEM clubs at their sites as the second pillar. These clubs will provide engineering design and project-based experiences during the school year while encouraging diverse groups of students to participate. The third pillar is scholarships for underrepresented middle school and high school students to attend immersive summer enrichment with peers from across the nation through the U of I’s College of Engineering’s Worldwide Youth in Science and Engineering (WYSE) summer camps and the University of Illinois Extension (4H) Illini Summer Academy. Lorenzo Baber, an associate professor in the School of Education at Iowa State University and former Illinois faculty member, will conduct educational research on student self-efficacy, while researchers at NAPE will explore changes to the knowledge, attitudes, behaviors, and practices of IDEA team members. Luisa Rosu, director of the Illinois Science, Technology, Engineering, and Mathematics Education Initiative at the U of I. will perform internal evaluation and assessment and assist the external evaluator, Dr. Ayesha Boyce at UNC Greensboro, in collecting data on program effectiveness. Irfan Ahmad, Executive Director for the Carle Illinois College of Medicine Health Maker Lab and College of Engineering Interdisciplinary Initiatives based at the Micro and Nanotechnology Laboratory, serves as the industry liaison. Representatives from Chip Energy, Henneman Engineering, ISS Inc., and the Center for Advanced Research in Drying will talk with the IDEA teams about engineering workforce needs. National Instruments will provide LabVIEW software for STEM club activities. Other partners in the project include several career and technical education consortia in Illinois and U of I staff from the Offices of undergraduate admissions, inclusion and intercultural relations, engineering career services, and engineering pathways, advising, and mentoring programs. 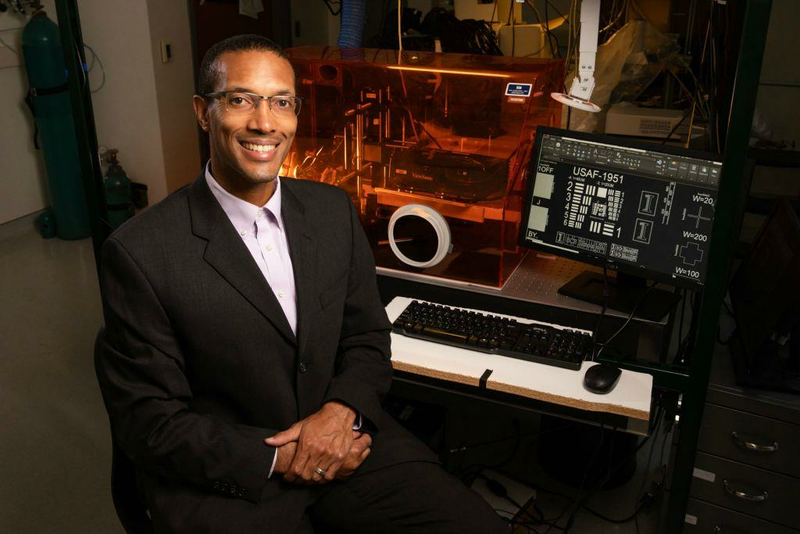 Lynford Goddard, professor of electrical and computer engineering, is the principal investigator on the project. Like many schools, the University of Illinois College of Engineering is making strides when it comes to promoting diversity, but the belief is that in order to make more significant progress within admission and job placement, grassroots efforts are needed to increase diversity in the student applicant pool. Over the course of three years, the research team will partner with 24 schools – 20 high schools and 4 middle schools which feed into one of the 20 high schools. Each year, a cohort of eight schools will enter the program, starting this summer. Goddard indicates they are targeting schools in Chicago, East St. Louis, and locally and that there are several schools interested.